These days we are getting more obsessed with gadgets and this obsession is increasing with every passing day. We can’t deny our addiction for tech devices and gadgets. We use multiple devices in our daily life and these machines had made our life easier. We all love gadgets but we also have one friend or a family member who is truly gadget-obsessed and if you have one too then there will be no better gift other than a gadget/device for him/her. But choosing a perfect gadget for your gadget freak companion can be really time-consuming and overwhelming task. The market is flooded with millions of new, advanced and innovative gadgets. The best way to choose a gift for a gadget freak is to choosing something regarding his/her interests. If the person for whom you are buying gadgets loves music or likes to spend time with drones then you must gift him/her a quality Bluetooth speaker or a drone camera respectively. I have created a small but worthy list of top 10 tech and gadget gifts for 2018 and this list is surely going to help you in choosing a right gadget for your gadget freak friend. 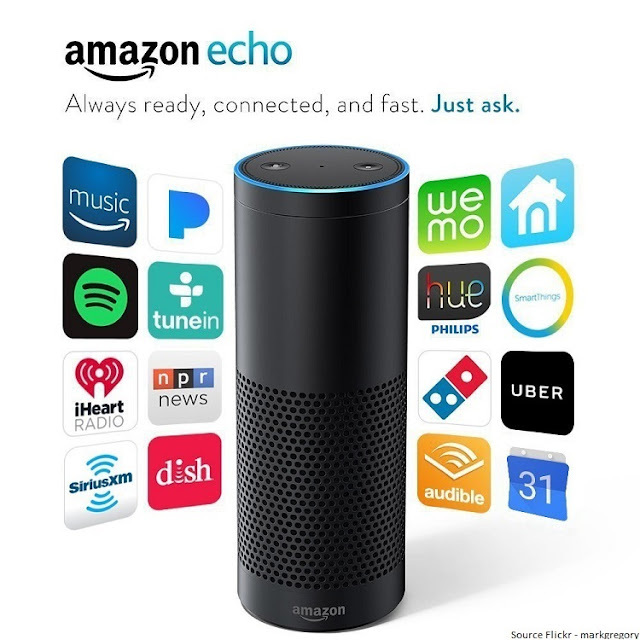 Amazon Echo is one of the most successful products of Amazon and more than millions of units had been sold since launch. This device connects to a cloud-based voice service named “Alexa” to function. The Amazon Echo can make calls, play music, set timers and alarms, check the weather, your calendar, sports updates, traffic and ask questions. This device can also manage your shopping lists and also can control your smart home devices if they are compatible. Connect with people by making calls and sending messages over voice commands with Amazon Echo. Eco devices can connect to each other easily and hands-free. The speakers are made with advanced Dolby technology and deliver immersive unidirectional audio, crisp vocals, clear highs and deep bass. This machine consists seven microphones and has a noise cancellation feature too, that means Eco can hear you and respond even while the track is playing. It can simply control the compatible TV’s, smart lights, thermostats, switches and more. VR headsets are one of the most popular gadgets these days. A quality VR headset can be an ideal gift option and I have featured ORB VR headset in this list. Connect it with your smartphone and experience the virtual 3D world. 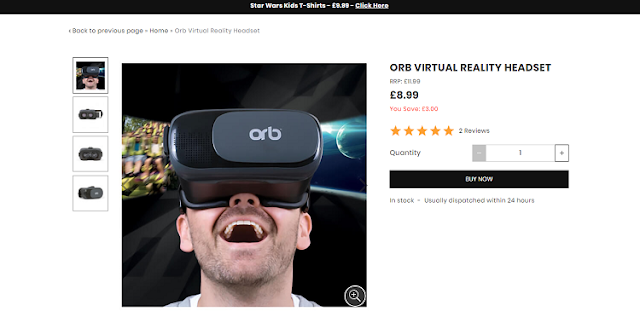 The best part of this ORB VR headset is that it is compatible with most of the latest smartphones. 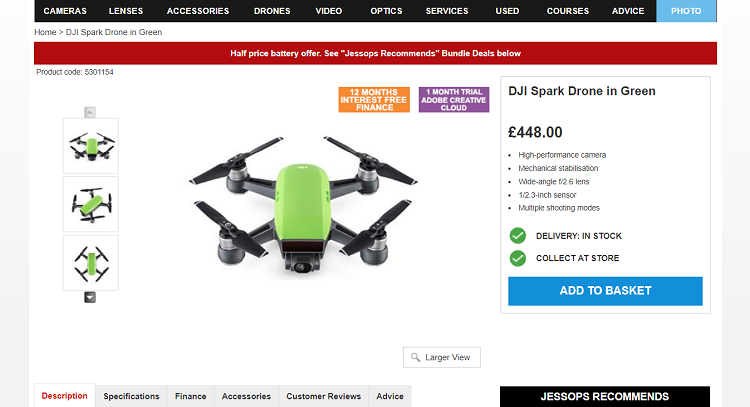 If you are planning to buy a nice drone camera then you can go with DJI spark. This drone camera is loaded with multiple extraordinary features. DJI is one of the world’s best drone camera manufacturers and is known for its quality products. Capture clear, crisp and vibrant aerial images with its 12 MP camera. Flight Modes - DJI spark comes with different flight modes. I) Tap Fly - Connect it with your smartphone and control DJI spark and capture photos by just tapping your smartphone’s screen. II) Active Track - The active track feature of DJI spark makes it capable of tracking and recognizing nearby objects. III) Gesture - This drone can be controlled by hand gestures too. Their Palm-mode control feature makes it possible to control this device with simple hand motions.  High-Quality Camera - Image stabilization feature makes it possible to capture shake-free and stable images. Its 12MP camera and CMOS sensors ensure capturing high-quality videos and photos.  Great Performance - This lightweight flying machine has an aerodynamic and sleek design.  Flight Safety - No matter how far has your drone has gone you can bring it back by just tapping the return to the home button. Earphones are one of the most gifted products but it is always difficult to deal with the wires. If you are looking for an earphone for the gifting purpose then you must go with a wireless earphone. 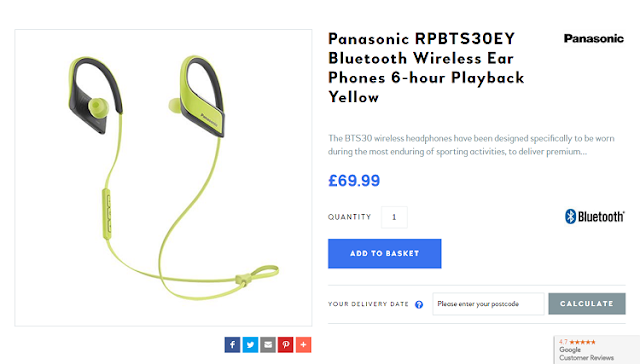 I have included a Panasonic wireless earphone in this list. This wireless earphone could be an ideal gift for a fitness freak and the Panasonic BTS30 wireless earphone has a specific design to provide extra comfort and premium sound even during the busiest sporting activities. 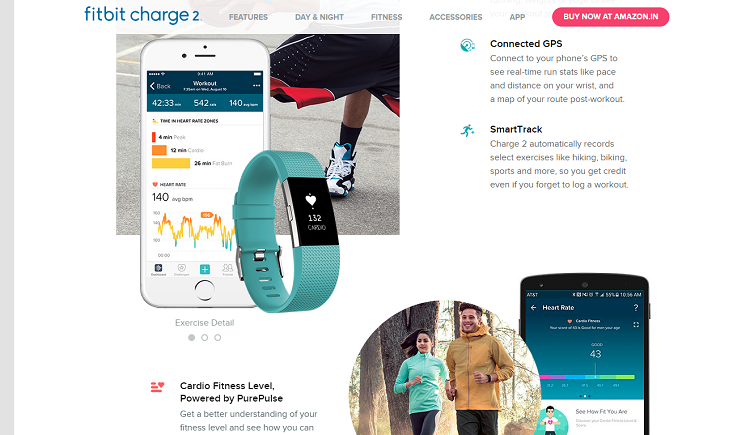 A Fitbit tracker can be another ideal gift for a fitness freak and there is no other device available better than Fitbit for tracking your activities. This machine is more than a fitness tracker, it delivers calendar alerts, alarm feature, provide guided breathing-sessions, tracks the quality of your sleep and also you can call and text after connecting it with your smartphone. The large OLED screen makes it possible to access the tracker with ease and the interchangeable wristbands allow you to replace them. You don’t have to compromise with your style; this Fitbit tracker will compliment most of your outfits. DSLR’s are all time favorite for the person who loves to spend time with gadgets. If the person whom you want to gift a gadget is good at clicking photos then you must gift him/her a nice DSLR camera. 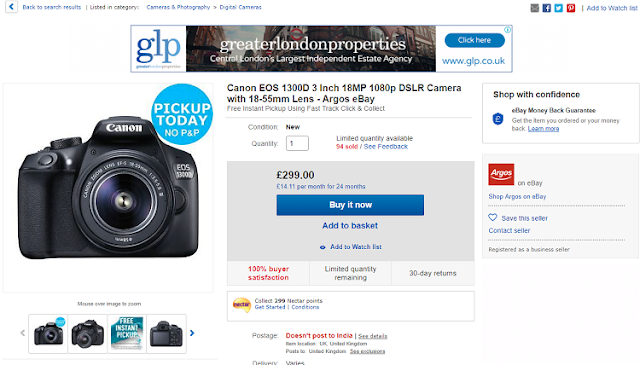 I have featured an 18 megapixels Canon camera here and for beginners, it is a decent camera. You can capture high-quality pictures and videos and can share them wirelessly WiFi or NFC. 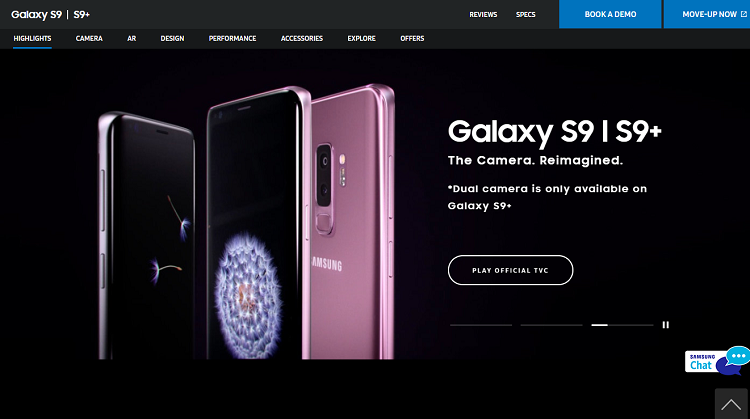 At the time of writing this post about the top 10 tech and gadgets gifts for 2018, the Samsung Galaxy S9 and S9+ is one of the best latest smartphones. This smartphone series has been appreciated by the top gadget blogs including Wired, Forbes, Mashable and Time. Its camera is just wow. Its dual aperture lens makes it possible to capture super quality images even in the low light conditions. The Samsung Galaxy S9 and S9+ are loaded with awesome features. Its camera has a unique feature of creating real-life emojis. You can create emojis of your own selfies with this smartphone. The best part of Bluetooth speakers is that they are small and portable but despite their small size, these speakers produce surprisingly big sound. If you think that a single speaker is not enough then you can pair two speakers with just one tap. You can take this UE Wonderboom speaker anywhere you want. No matter if you are chilling at the pool, this waterproof Bluetooth speaker can be your companion at the beach and pool too. We all were addicted to video games in our childhood. If you want to gift anything to a teenager then you must spend money on a video game console and when it comes to video game consoles nothing will be better than Nintendo gaming consoles. This ultra-portable gaming machine allows you to play high definition games on the go, at home and everywhere else in between. 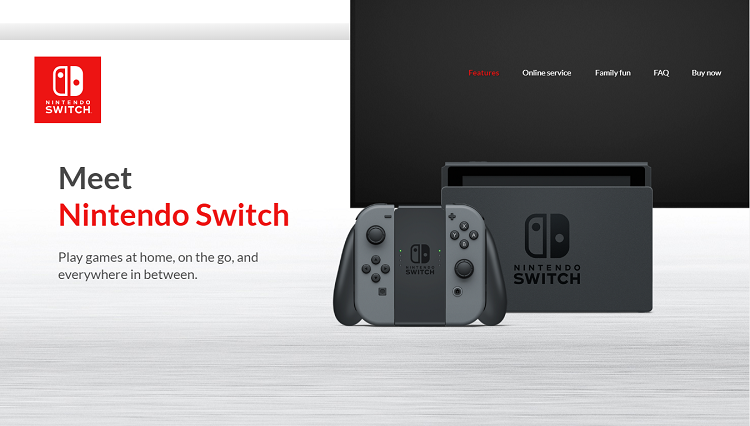 Dock it, connect with your TV and play games on a bigger screen or undock it to play handily. We use multiple gadgets throughout the whole day and most of our mobile devices such as smartphones, cameras, laptops, tablets, and speakers get discharged. Once your devices get discharged it becomes almost useless and you become hopeless. Spend money on buying a quality power bank if you yet don’t have one and this can be also used for gifting purpose. 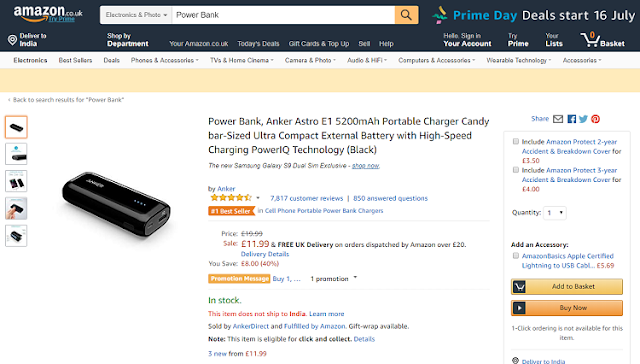 The Anker Astro 5200mAh portable charger will be a great option.